We would like to thank NTW and Federal Tires for donating $1000 of tires as prizes. Oh, and we have a nice sum of cash from another sponsor as well, which will be announced in more detail in approx 2 weeks. The 300km/h trophy looks great as well. Will your name be on it? Last edited by SM1000; 12-10-12 at 20:12. Last edited by SM1000; 20-10-12 at 08:02. We have been smashed by entry pack request emails (for when they are release in April), with more emails than the 200 spots available for this year. 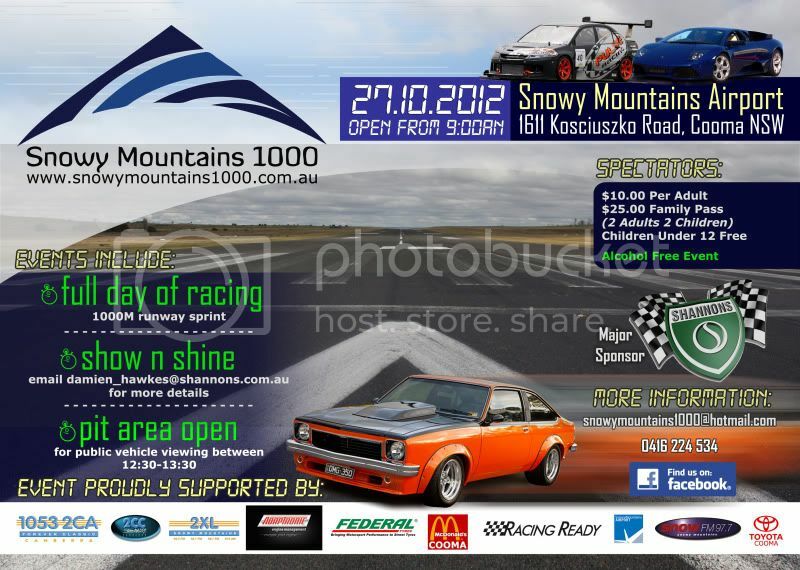 If you are even considering entering, please email snowymountains1000@hotmail.com so you get an entry pack. Nearly all of our 2012 entrants are comin' back as well.